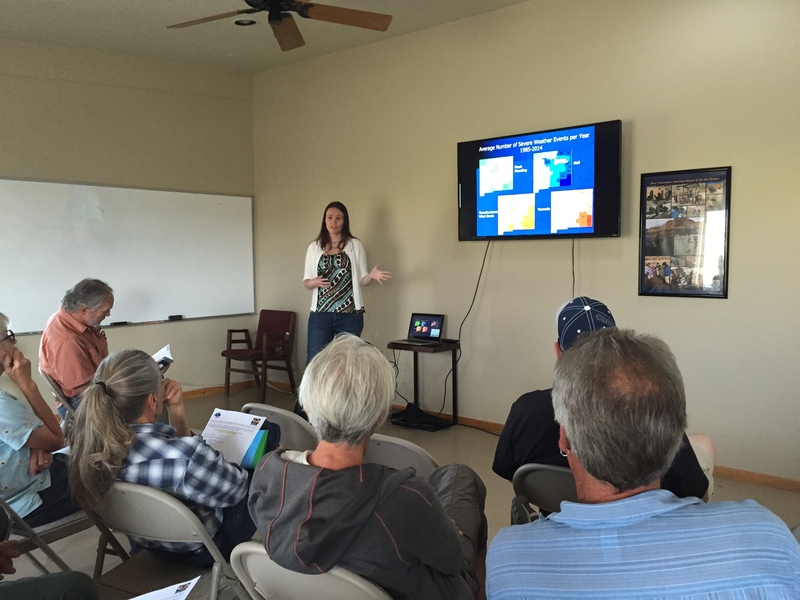 Last Thursday, the National Weather Service in Albuquerque hosted a SKYWARN storm spotter training at New Mexico Wildlife Center! 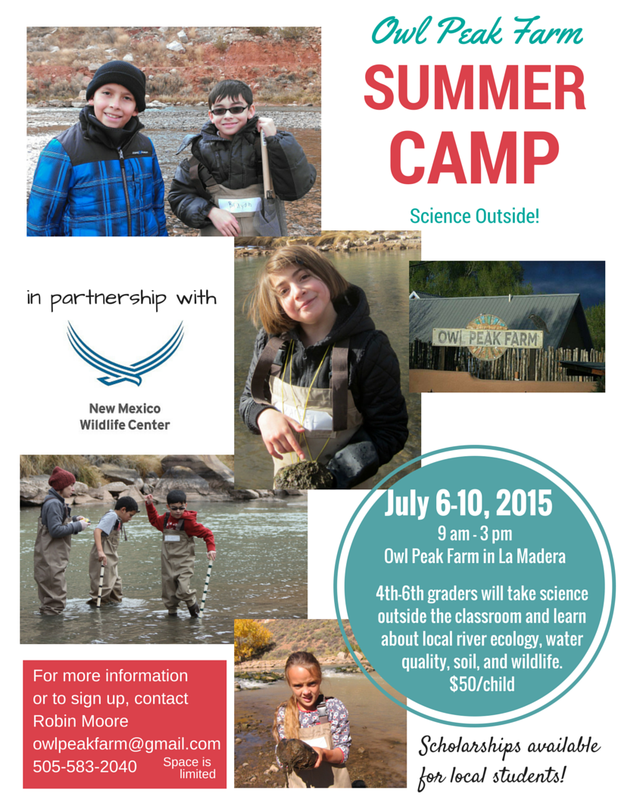 These classes teach local citizens to be the eyes on the ground for NWS. Radar and other tools of the meteorological trade can tell a lot about weather, but nothing compares to having a trained person make a report. NMWC is hoping to offer SKYWARN classes and additional CoCoRaHS trainings in the future. 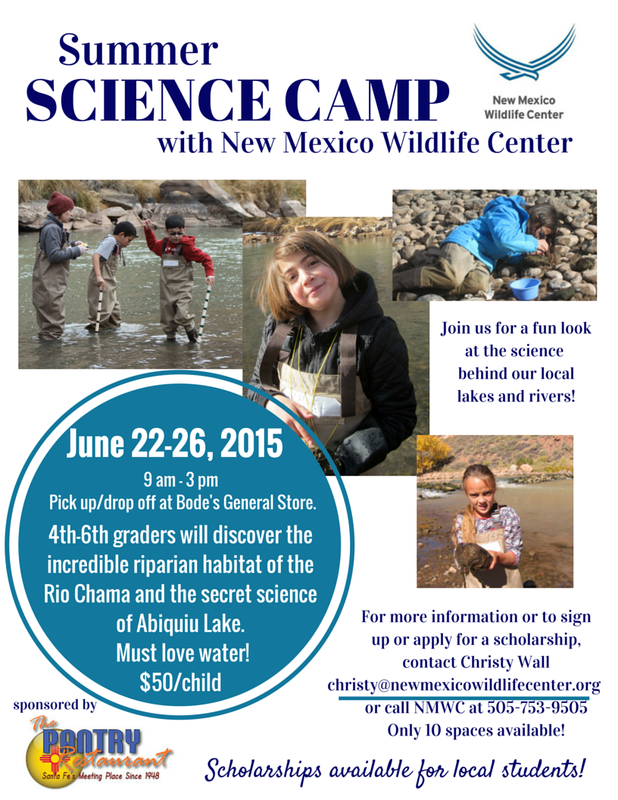 Send us an email if you’re interested in attending one of these events in the Espanola area! Eagle Watch 2015 was a great success! 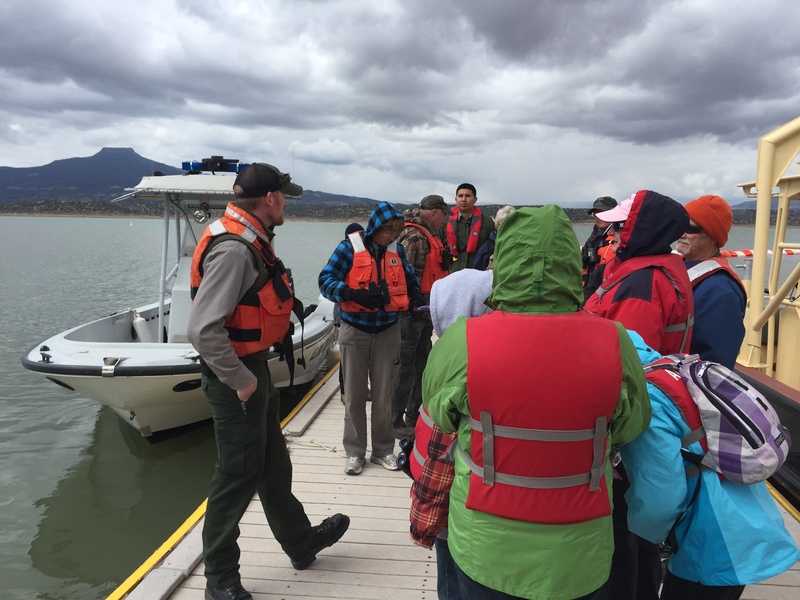 We joined our partners, the US Army Corps of Engineers, at Abiquiu Lake last Saturday, January 3. 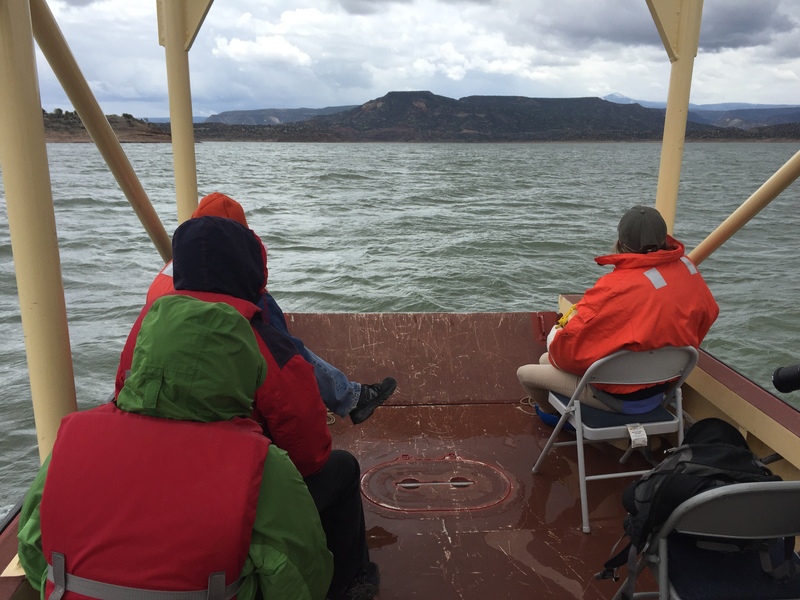 Many citizen scientists braved the frigid temperatures and chilling winds and were either stationed at fixed points or sent out on the lake in boats to count bald eagles. 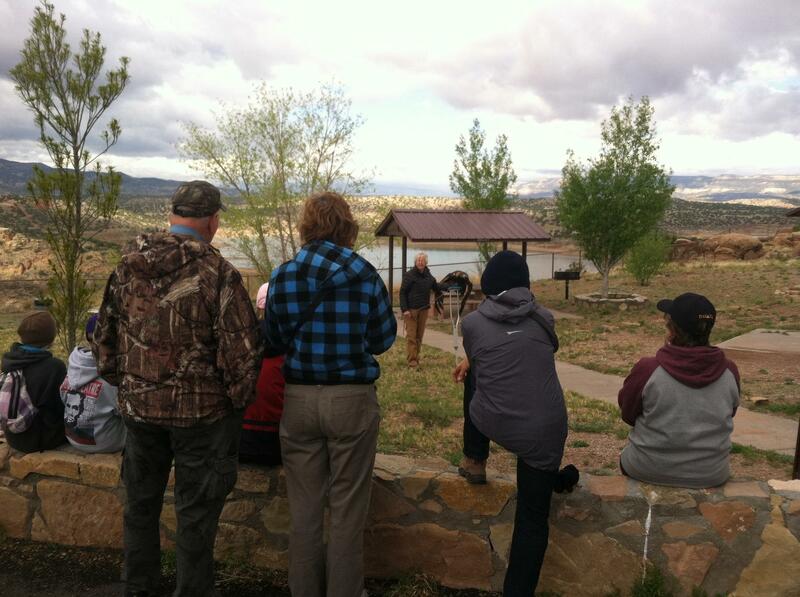 We met at the Visitor’s Center at Abiquiu Lake at 9 am for donuts, coffee, and a quick presentation by NMWC’s Executive Director, Katherine Eagleson. 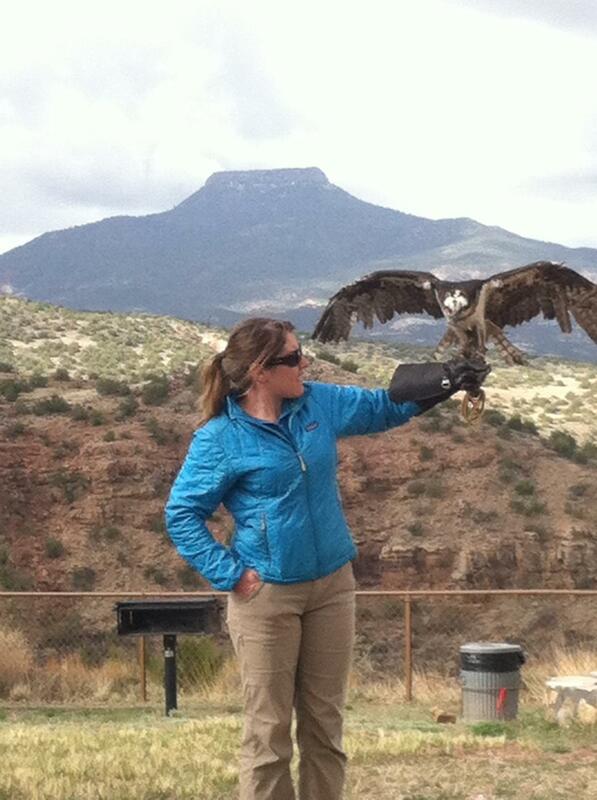 She provided practical advice on spotting eagles and detailed some of the threats to this bird. 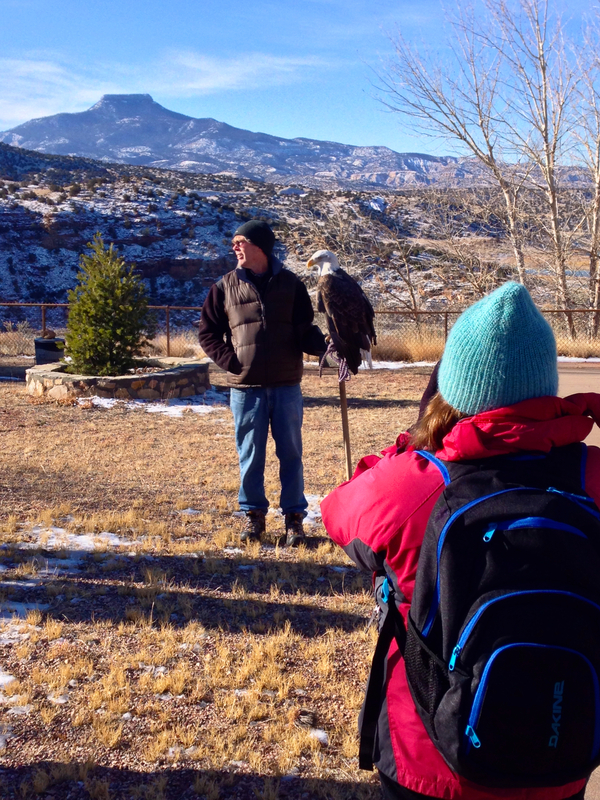 One of NMWC’s favorite residents, our bald eagle Maxwell, was on hand so participants could get an up close view of a mature adult bird. Once the watch began, eagles were sited almost immediately! It was so cold and windy that most of the eagles were staying in sheltered areas, but the boats would flush them out. The fixed view points were critical for tracking where the eagles flew to make sure we didn’t double count any. What about the final numbers? 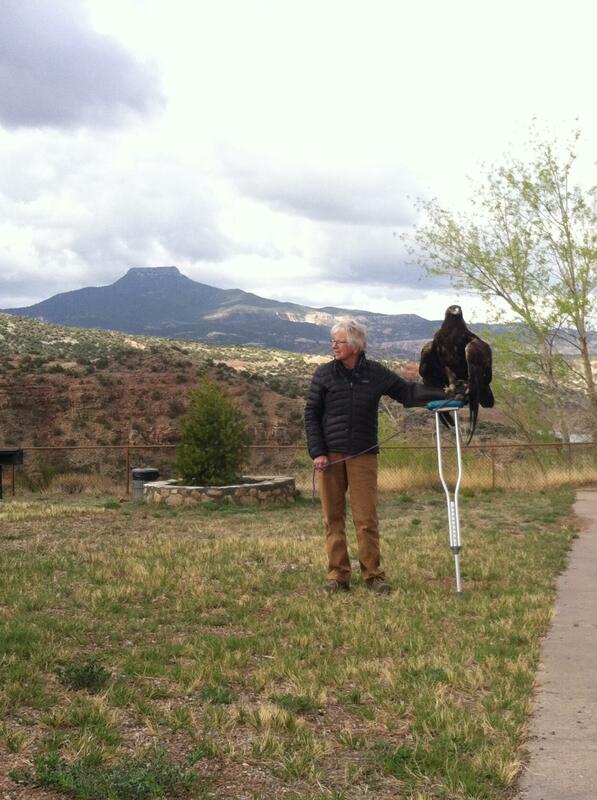 18 eagles total, of which 12 were adults and 6 were immature. How does this relate to years past? 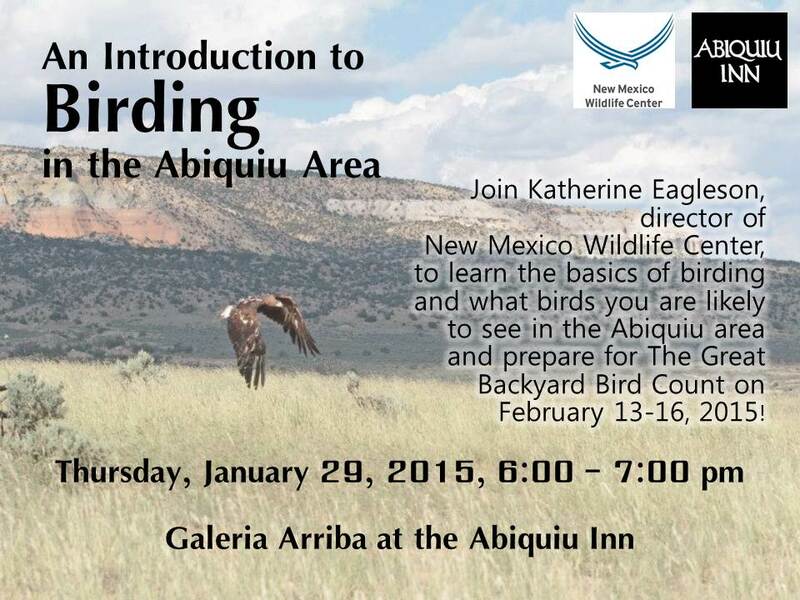 This event has been going on for something like 15 years, and this data will help us understand the population of wild bald eagles in New Mexico. 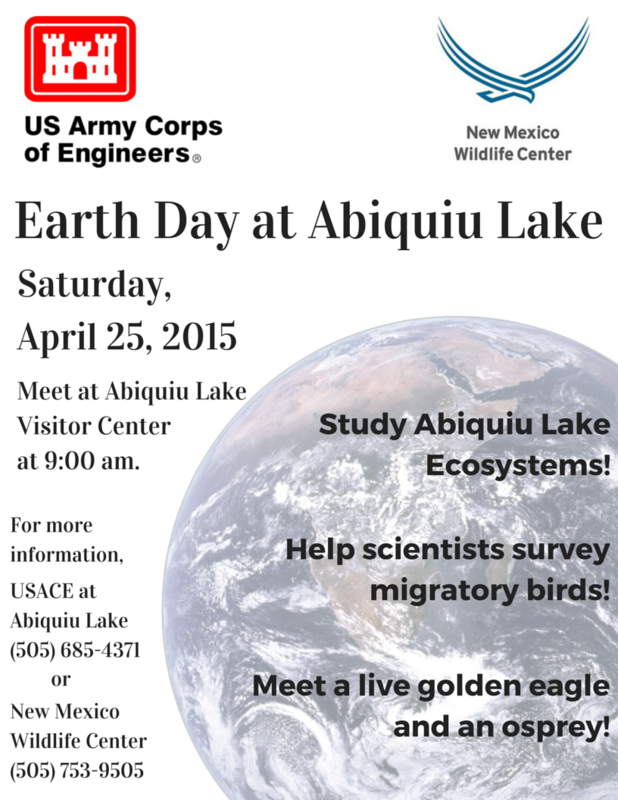 Thank you to all of the volunteers who participated, as well as to the fantastic staff at Abiquiu Lake for making the Eagle Watch possible!